Education is my passion and I have always known that I would become a teacher. I earned my Bachelor of Science at Western Michigan University in Kalamazoo, Michigan and my Master of Education degree at University of Nevada Las Vegas while teaching in Clark County, Nevada. During my time in Las Vegas, I served as Science Department Chair at a large public middle school and assistant principal at a small private school. This will be my sixth year teaching in Rochester Community Schools, have taught at several of the middle schools here in Rochester, and truly believe that West is best. In addition to my time in the classroom, I continue to grow as a professional by attending workshops, participating in field study programs, and staying involved with professional organizations. I believe that learning occurs in and out of the classroom, and I try to learn as much as I can through experiencing the world and participate in educational travel programs as often as I can. These experiences allow me to share various outlooks with students and offer a global perspective to enrich learning in the classroom. Some of my personal educational travel opportunities include studying in the Grand Canyon, Sierra Nevada Mountains, the Great Basin, and at the San Diego Institute for Conservation Science. Additionally, I have lead a student group to study ecology in southern Florida and have also traveled with students to California and Washington D.C. When I am not teaching, I love spending time outside with family and friends and enjoying live music. I look forward to spending my fourteenth year in education with you. I know we are going to have a great year together! 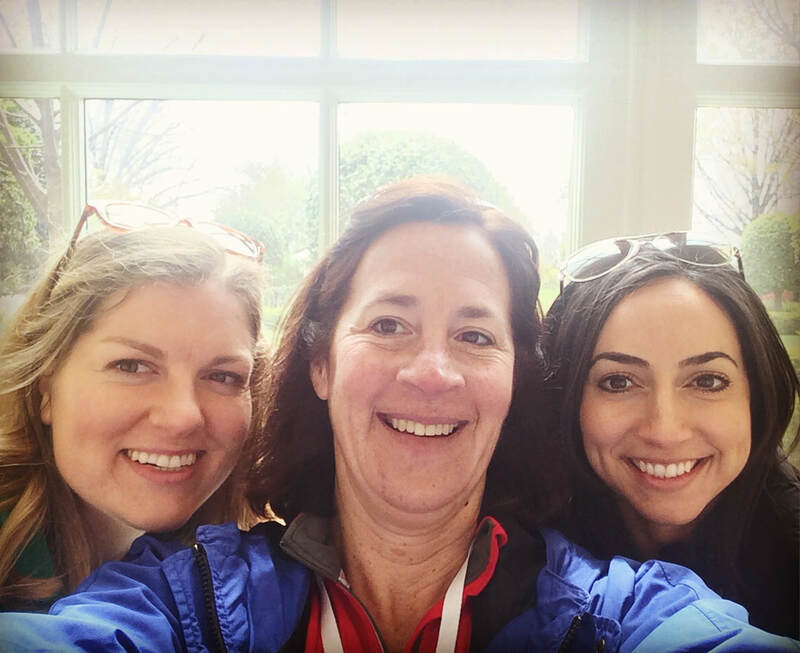 Mrs. Foutz, Mrs. Holloway, and Mrs. Snitgen in the White House in 2015.